It’s a cutting edge program that’s been funded privately through donations for years and now is running low on money. Known as “Project Safeguard” the program is more commonly referred to in the community as witness protection in Wayne County. “However, many people are totally unaware there is no public funding for this,” says Andy Arena, Executive Director for the Detroit Crime Commission (DCC). (WXYZ) — It’s a cutting edge program that’s been funded privately through donations for years and now is running low on money. Known as “Project Safeguard” the program is more commonly referred to in the community as witness protection in Wayne County. “However, many people are totally unaware there is no public funding for this,” says Andy Arena, Executive Director for the Detroit Crime Commission (DCC). 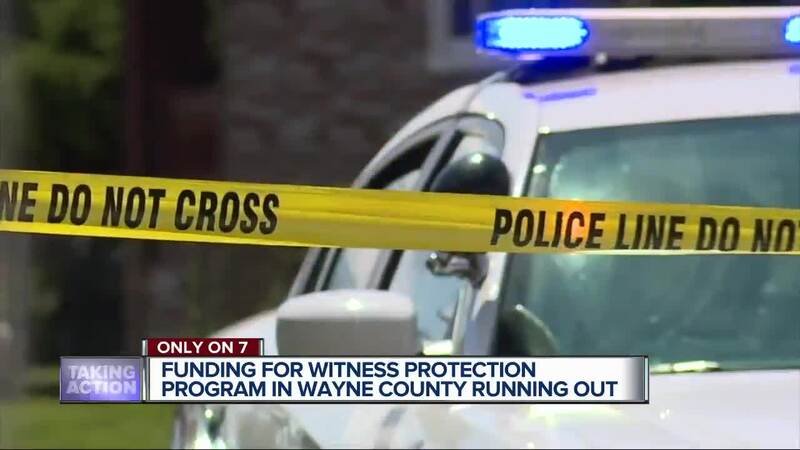 The DCC was the organization that first launched Project Safeguard to help the Wayne County Prosecutor keep witnesses to violent crime safe in local hotels, and also provide money to them for food and other expenses for their immediate families. “The reality is after keeping 60-70 witnesses in a safe place over the years, we’re now asking for more help to keep the funding going,” says Arena. Typically, the program is able to remove witnesses from a threatening environment or prevent them from being intimidated by violent criminals including murderers. In fact, most cases where the program is needed, involved crimes of murder. If you’d like to help support the program you can do so by donating money here .